Magic and Pelinka didn’t want West around because he would get all the glory for any move made. Imagine if LeBron had signed and West was here we’d all be praising Jerry West talking about how he sealed the deal etc. Kind of like what happened in GS? Apparently their GM and ownership group did nothing but fetch West's coffee. Maybe its Mitch/Jim who da real MVP on this one. I think that's it. Jerry West is a powerhouse, not a small-time consultant. Magic and Pelinka are a great team. I don't think they wanted another person, perhaps with different views, in the middle of things pushing their own agenda. 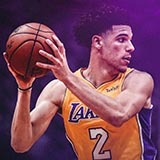 I have been a fan of the Lakers since the early 1960s, and I idolize West--he was my childhood hero and I even wore number 44 as a player myself -- but I feel the Lakers are in great hands with Magic and Pelinka. Is West really bitter about being turned down by the Lakers? Can't really judge until we see the effectiveness of the reset. Teams reset all the time and usually don't come out of it as anything special. The glory was well deserved. Their GM & Group would have broken up the splash brothers, watched Mark Jackson come up short year after year, witness 1 or 2 additional cleveland titles, and spent nights pondering over Durants future OKC highlights. Does anyone still think that Cp, Blake team was going anywhere? They were done 2 years ago. The big mistake would have been trying to rebuild around that non-winning combo. This just isnt true. Dude is the logo. Would it be an accurate analogy to say Myers was the helmsman and West the navigator? It wasn't Myers who made the late night phone call that lead to Durant choosing GSW. Do you suppose that could've been KD trying to put a positive spin on his joining a rival, that perhaps his mind was made up already? Durant didn't need to be reminded of the cost cutting moves the Thunder had made and how trading Serge hurt their 2017 chances. West's brilliant advice and draft insight led to the construction of the team that attracted Durant; but it's not unreasonable to think that had West lectured KD about the value of loyalty to one place and finally winning there, he'd have signed with GS anyway. But the phone call probably did give him more conviction in his choice and motivation to be the team's best player. Ill say Durant had just as much if not more reasons to stay and could have been swayed to still stay with OKC but he wasn't swayed to stay with them and received and avalanche of criticism because of it. Suffice to say that criticism will haunt his carreer despite the titles and mvp's. Durant himself was up front that he immediately had severe regrets after signing and the immense guilt for feeling that he betrayed a team he was so invested in for years. The weight of that guilt leading up to then being relieved for that stretch in time up till the phone call and after the signing. That little window in time from the phone call till the signing, who's voice do you think made a difference in Durants head? I'll wager it wasn't Meyers or Sam Presti's. Everything about that decision shouts a classic Jerry West dealbreaker move amidst a long hof career filled with amazing successive dealbreaker moves at that calibur. It's not a coincidence. Yep. The GS fanbase went nuts when West traded Monte Ellis, bitched about drafting Draymond Green, and were in full hate mode after he fired Mark Jackson, hired Steve Kerr and cockblocked the owner from trading Klay Thompson for KLove. Then the team comes together and explodes and everyone loves him and finally recognizes the genius after having talked so much s##t beforehand. I believe GS made those moves before Jerry west’s arrival. And West believed the Warriors had hit their ceiling with him and moved on.